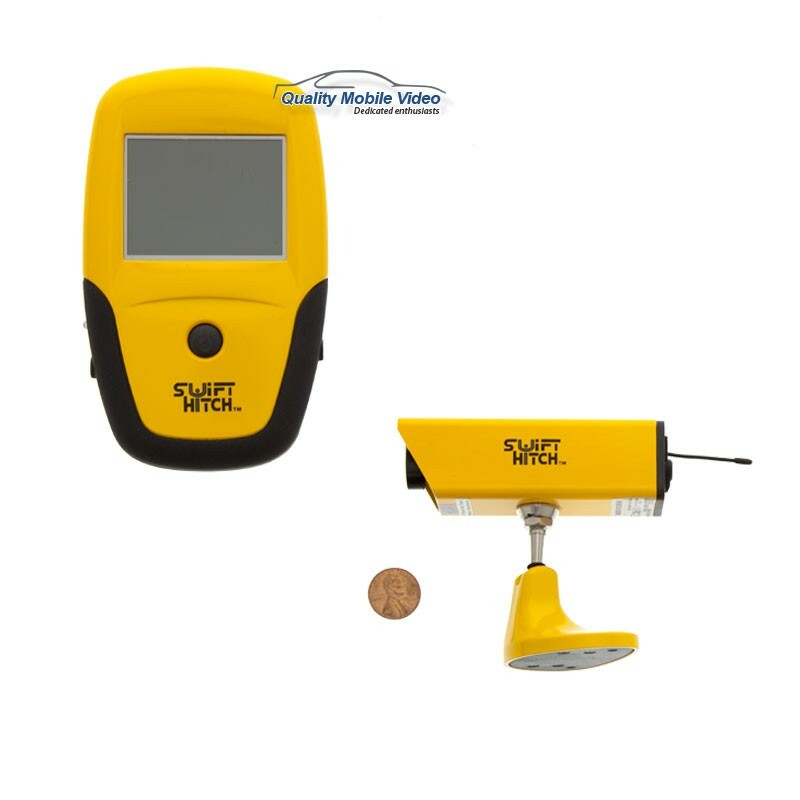 Learn all about the Swift Hitch wireless camera systems. Wireless camera system are the easiest way to add a camera system to any vehicle. The Swift Hitch camera systems are designed for those that have trailers or are commonly towing vehicles. The cameras have built in batteries and magnetic mounts making them perfect for boat yards, quickly hitching vehicles, and those with horse trailers. The trade off is wireless is susceptible to outside noise and interference that can cause usability problems. The Swift Hitch systems have taken this into account and use a digital transmission system that is far less prone to problems making it far more reliable. There was a time when I wouldn’t recommend any wireless system to anybody regardless of circumstance, that is until the Swift Hitch SH01 and SH02 came along. Both systems come with a rechargeable camera with 10 hour run time for the SH02 and a run time of 3 hours for the SH01. You can easily conserve power with a push of a button. The camera which is relative in size to a small box of matches, attaches to the vehicle with a strong magnetic base, meaning it does require any installation whatsoever. With the built in battery, it requires no drilling, no mounting, no wires! The camera is equipped with infrared technology that provides a black and white picture when the camera is in complete darkness. With the high quality CMOS sensor you get excellent picture quality during the day with a great field of view. The camera is well built and designed to withstand commercial use, it’s water resistant and easily tilts for an ideal viewing position. The 3.5 inch monitor that comes with this system is also very sturdy and has a 300 ft receiving range all in the palm of your hand. With the extended range and handheld capability this system is such a big hit with companies and people who work with large farm equipment and other large commercial vehicles on a daily basis. The Swift Hitch SH01 is $199.99 and the Swift Hitch SH02 is $239.99. Other than the battery life, the largest differences between the two systems are a carrying case embedded with protective foam in the SH02 and two small pouches with the SH01. The SH02 also has an additional suction cup set.